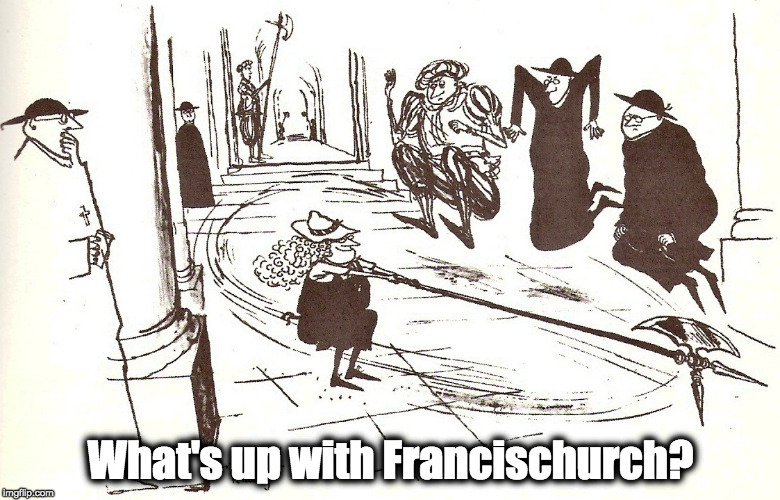 The protection billions will buy – What's Up With Francis-Church? Steve has a long history with the Legion. I experienced their predatory habits way back in Halifax, but fortunately they gave me enough of the creeps at the time to stay away. A friend of mine was not so fortunately paranoid. The entire order is predatory. They descended on Halifax and started hunting among the Catholic young adults group I was a part of, even showing up to my ladies’ Rosary circle at my flat. I’d never heard of Regnum Christi before that. I asked these rather pushy ladies about it, and the woman said, “How’s your Latin?” “My Latin’s just fine, thanks. I don’t need to know what Regnum Christi means. I want to know who you are.” I was quickly taken off their list of targets. But I went to one of their RC retreats near Halifax because they’d scooped up in a sort of weird wave of enthusiasm a bunch of the younger women in the group, fairly sheltered girls from rural Nova Scotia Catholic families, some as young as late teens and early 20s. So I went along to see what was what, and it was clearly a psychologically manipulative indoctrination session. Seven straight hours a day of lectures, “free time” was 15 minutes between sessions… I left after a day of it. It was all I needed to know, having grown up on the Left Coast in the 60s and 70s. Years later, after one of my close friends, “James,” had been sucked in and isolated from all his former non-Regnum Christi friends and was having his life destroyed by them, I got a call. People who don’t understand the Legionaries have failed to grasp that it is based not on theological but on marketing principles: conservative Catholics are a great untapped market, and Maciel’s greatest evil genius was to have a knack for exploiting it. To the tune of billions. The Legionaries still own and operate one of the most important universities in Rome. On the way into the City from S. Marinella you see the little Legionary clone-bots getting on the trains at Roma-Aurelia in groups to go to the Papal audiences, with their identical, perfectly straight hair partings, creepily identical expressions, perfectly uniform demeanour and behaviour, even carrying their little perfectly identical cottas draped over their arms folded in perfectly identical folds. Apparently McCarrick’s biggest mistake was not founding a global dysfunctional family of religious communities, playing the “orthodoxy” marketing game, and putting the screws to the “orthodox Catholic” world for cash. In the midst of everything else, possibly the most important indication that there is nothing to be done to “revive” or “rescue” the current structures of the Church is that this was “discovered” under “conservative” Benedict XVI, who then allowed the Legion to continue to exist. Everyone wants to talk about McCarrick, the guy the cabal served up as a sacrifice – though apparently nothing is going to happen to him – because he was old and had had his fun and can probably have no more. No one wants to talk about Maciel because the Legion is still worth billions. There’s a lot that makes me want to pack up a bug-out bag and go walk into the Appenines and never come out, and the fact that Benedict XVI did nothing to dissolve the Legion is close to the top of the list. 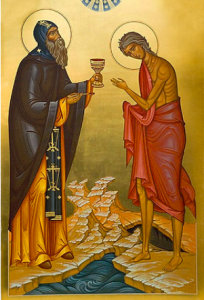 St. Zosima and St. Mary of Egypt, orate pro nobis.